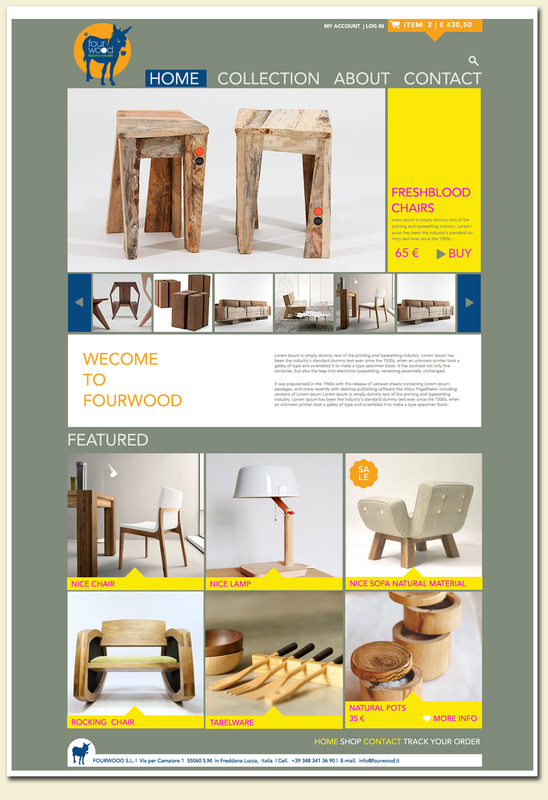 FOURWOOD is a Tuscan furniture design group based in Lucca, Tuscany. They specialize in wood, creating unique artisan pieces. Using naturally sourced wood from the area, the pieces then get partly coated in strong colors to contrast the natural wood. The color palette they use are similar to the classic Farrow & Ball colour range. 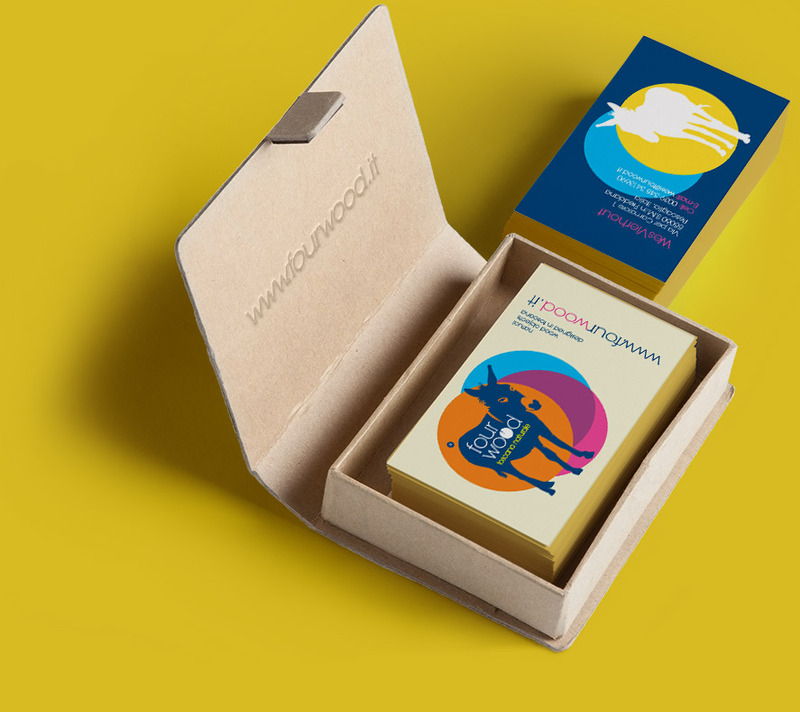 We tried to reflect this bold colour contrast in the designs we proposed for the branding. The donkey – a symbol of the Tuscan region – is a humble and tireless animal that represents the hard work and the simplicity of human labor. Far away from the exuberant workmanship of Florence or Rome, Fourwood sees itself much more represented by the simple and natural style of the Tuscan farmlands. So incorporating the image of the Tuscan donkey into the branding was an easy choice. We added a strong, clean colour palette and simple and bold shapes that reflect the furniture themselves.